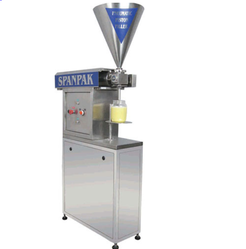 We are a leading Manufacturer of automatic pneumatic fillers, automatic linear weigh metric filler, rotary monoblock volumetric fillers, volumetric fillers, pneumatic piston fillers and automatic bottle unscrambler machine from Mumbai, India. We are highly acknowledged organization engaged in presenting the remarkable range of Automatic Pneumatic Auger Filler Machine. 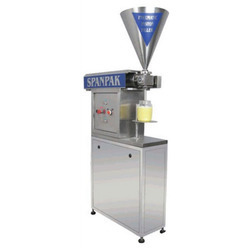 These filler machines are good demand in the market due to high quality and durability. Automatic Linear Weigh Metric Filler offered comes from weighmetric series and have filling range of 1 to 5 kg and 5 to 30 kg. Coming designed and developed using latest technology support, these linear fillers provide for versatile usage and require minimum adjustment for setting to different capacities. Some of its features include positive cut-off nozzle type finish; high filling accuracy of +/ -0. 1% to 0.25% of filled volume; convenient volume setting through wide HMI touch screen with graphic display; no container no fill option; allows filing in net gross modes among others. Different models for filling 500 ml. to 5 liters. 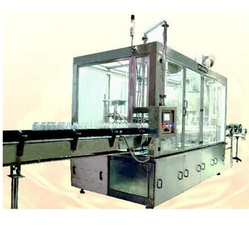 We are leading manufacturer and exporter of Rotary Monoblock Volumetric Fillers. Rotary Valve for Drip- Proof Filling. Facility for simultaneous adjustment of volumes on all cylinders. "No Container" - "No Fill" facility. The individual cylinder can also be set separately for one-time adjustment. Speed can be precisely controlled with AC Frequency Control System. Easy adjustment of filling head height to suit different containers. Continuous rotary motion for higher output. Handles containers/bottles of different shapes sizes. We offer efficient Continuous Volumetric Fillers in three different head configurations. These fillers are used to fill various fluids, motorized or pneumatically operated. 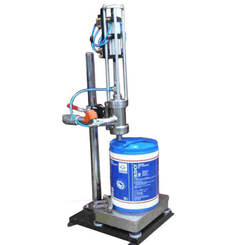 Our volumetric filling machine is made up of good quality steel, and thus offers high resistance to rust and moisture. All the configurations are available at industry leading price. These machines are fully tested before being dispatched to our valuable customers. We offer premium quality Pneumatic Piston Fillers to our valuable customers. These fillers are manufactured from high quality raw materials that are procured from trustworthy vendors. This product is widely used in the filling of various fluids like paints, chemicals, pesticides and viscous products. Our piston fillers ensure smooth and accurate operation, durability and maximum safety. These fillers are fully tested before being dispatched to our valuable customers. We offer them in three different head configurations. An integrated feed hopper acts as an in-line buffer - ensures that high line efficiencies are maintained if a downstream machine stops production. They are suitable for a large variety of bottle shapes and sizes. 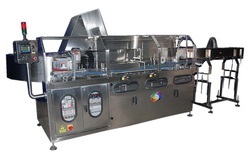 The machine is equipped with electronic steering which guarantees a perfect synchronization with the filling line as well as allowing for modification of the machine parameters. Output - 6000 to 7000 bottles for the hour depending upon the bottles sizes, shape and weight. Semi Automatic Weigh Metric Fillers offered can be made available by us in different finish configurations and provide for best filling support as demanded by the customers. These are suitable for meeting the filling demands of barrels, pails, jerry cans and other containers. For filling Barrels, Pails, Jerry cans etc. We have the prowess of providing nice quality Semi Automatic Powder Fillers, which are designed to fill any sort of powder with the help of augur and funnel. 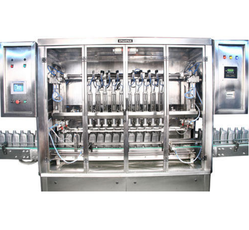 Looking for Automatic Pneumatic Fillers ?